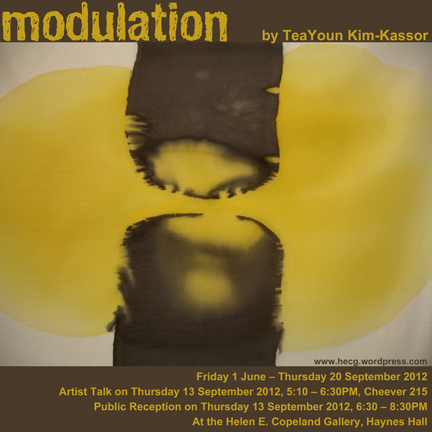 Montana State University School of Art and the Helen E. Copeland Gallery invite the public to “Modulation”, an installation by TeaYoun Kim-Kasser. 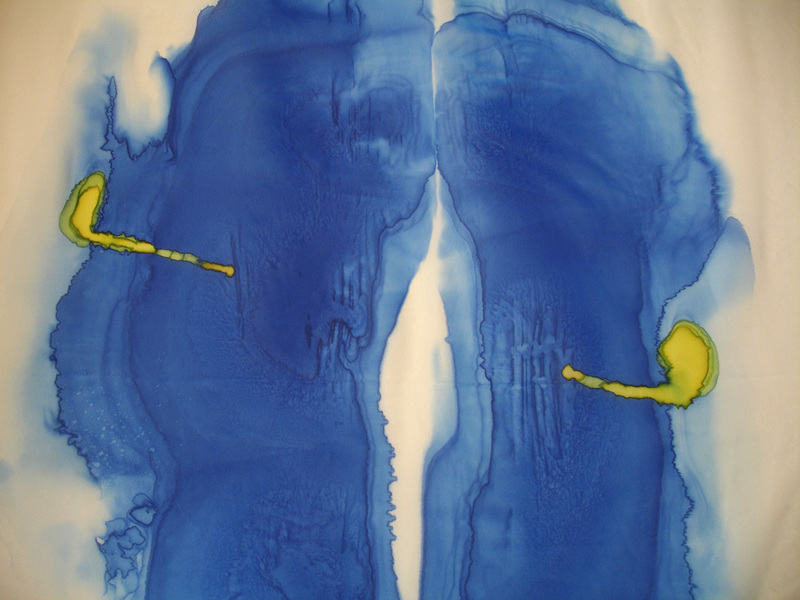 The artist uses polyester fabric and acid dyes to create the feeling of a partnership with the fabric in the creation of the piece; allowing the acid dye to not only respond to the actions of the painting, but also the fabric itself. The combination of the fabric and the dye constitute balance just as the different hued layers of sand in our own bottle of time reflect our history; memories, origins and destinations of our lives. The artist states: “I have lived in three different cultures and this cross-cultural experience brings me to question who I am, where I am, and if location is a catalyst. Through this installation, I have tried to depict how time and space, but more particularly allowing us to value their importance, affects our identities”. TeaYoun Kim-Kassor is originally from South Korea where she received her B.F.A. in Fiber Arts. She continued her research in Art Education as the Japanese equivalent of a Fulbright Scholar at Saitama University in Japan where she earned an M.A.T. 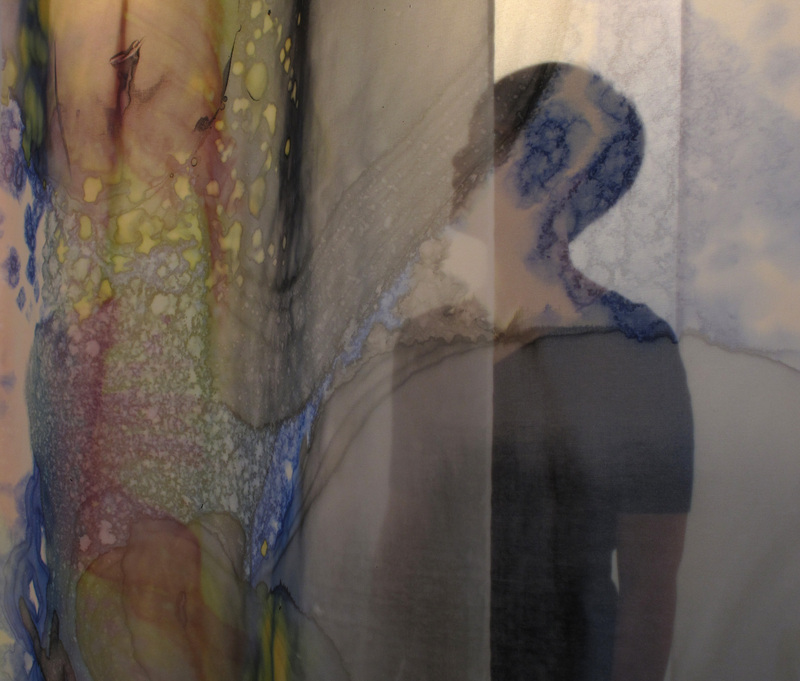 In America, TeaYoun continued her exploration of fine arts in the M.F.A program at the University of Tennessee with a focus on installation. Currently, she is teaching as an Assistant professor of Art at a Georgia College in GA.
TeaYoun’s art has been supported by the Folklore Museum in Sendai, Japan, the National Performance Network (supported by the Andy Warhol Foundation for Visual Arts, the Joan Mitchell Foundation, and the Nathan Cummings Foundation), CESTA in Tabor, Czech Republic, and Can Serrat in Barcelona, Spain.